This black and white photograph shows U.S. Senator Arthur Capper holding the hand of a young girl with crutches and leg braces. As an advocate for children's welfare, in 1934 Capper used his resources to create the "Capper Foundation for Crippled Children" in Topeka, Kansas. This black and white photograph shows U. S. Senator Arthur Capper standing beside a young girl with crutches. 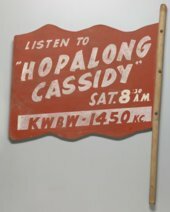 As an advocate for children's welfare, in 1934 Capper used his resources to create the "Capper Foundation for Crippled Children" in Topeka, Kansas. Dorothea Dix's papers consist of correspondence from Miss Dix to various people, as well as some correspondence in which Miss Dix was concerned, but not directly involved. Dix was an advocate for social welfare, particularly supporting the establishment and maintenance of mental hospitals for the mentally ill, disabled, or poor. She was instrumental in the proposed legislation of the "Bill for the Benefit of the Indigent Insane." During the Civil War, Dix was appointed Superintendent of Army Nurses. Much of the correspondence concerns Dix's efforts to bring lifeboats and other help to Sable Island in Nova Scotia, an area known for shipwrecks and where many with mental illnesses were sent, sometimes against their will. These papers are part of the historic psychiatry material in the Menninger Archives. 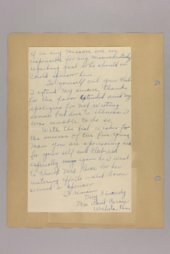 This file includes topical correspondence relating to the crippled children commission which is part of a bigger collection of Governor Clyde M. Reed correspondence. This file includes subject correspondence relating to the Winfield Training School (1881-1996). Also known as the Winfield State Hospital and the Winfield Correctional Facility, the School's mission was to build a set of skills of disabled persons to self-sufficently live in society. Topics in the correspondence cover but is not limited to uniform purchasing, butter expenses, and financial management of the Training School. File is incomplete, because the responses by Governor Clyde have been removed prior to arriving at the Kansas Historical Society. This file is part of a bigger collection of Governor Clyde M. Reed correspondence. This file includes subject correspondence relating to pensions. Topics in the correspondence primarily covers pensions for widows but also includes pensions for seniors and disabled persons. This file is part of a bigger collection of Governor Clyde M. Reed correspondence. Governor Robert B. Docking of Topeka, Kansas, issued this proclamation declaring April, 1974, the Legal Rights for Retarded Citizens Month. The proclamation affirms the legal rights of retarded persons to be the same as of other human beings, and outlines the manner in which such rights may be restricted, if necessary. 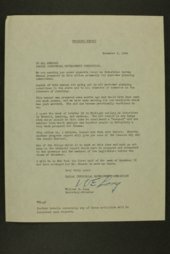 Requests from the President's Committee on Mental Retardation of Washington, D.C. and Rainbows United, Inc. of Wichita, Kansas, prompted the proclamation. The disability rights movement became increasingly more visible in the 1970s as an extension of the civil rights movement of the 1960s. By 1990, the Americans with Disabilities Act sought to extend to disabled persons the same legal protections against discrimination available to other minorities under the 1964 Civil Rights Act. This file includes correspondence relating to a request for a handicapped teacher pension by L. H. Bristol. Bristol has petitioned for the pension and has been refused and is now asking Governor Capper to provide his opinion into the matter. This is part of a bigger collection of Governor Arthur Capper correspondence. These are a variety of handwritten and typed letters, lectures, autographs, news clippings, biographical information, images and sketches, court documents, and other documents related to the history of psychiatry. These documents are housed in four boxes and the folders within are arranged alphabetically by surname or title, and they are included in the larger collection of historic psychiatry material in the Menninger Archives. Authors come from such fields as medicine, religion, prison and other reform and advocacy movements, politics, the military, etc. The documents themselves sometimes provide significant information, and sometimes they were collected because their authors were significant historical figures. Some of the individuals found in Box 1 include James Mark Baldwin, Ludwig Binswanger, Eugen Bleuler, Jean-Martin Charcot, Elizabeth Fry, Oliver Wendell Holmes, and Carl Jung. Some of the individuals found in Box 2 include Alfred Adler, Robert Frost, and Washinton Irving. This box also includes a 68-page handwritten notebook by Dr. W.W. Reed entitled "Reminiscenses About the Treatment of the Insane." Some of the individuals found in Box 3 include Amariah Brigham and Frederick van Eeden. This box also includes a correspondence file (1883-1888) on Ellen Kehoe, a patient at the Worcester Lunatic Hospital in Massachusetts, and a series of drawings from the 1920s and 1930s by a Belgian patient suffering from paranoia named Andreas at the Kankakee State Hospital in Illinois. The drawings were donated by Dr. J.B. Gier, formerly of the Topeka Veteran's Administration Hospital, who knew the patient and encouraged his work. Box 4 includes a miscellaneous folder regarding insane asylums and contains legal documents, postcard images, and receipts for services. Languages include English, German, French and Italian, and transcriptions or translations follow some of the documents. Cylindrical metal electrical respirator, or iron lung, manufactured by the J. H. Emerson Company of Cambridge, Massachusetts. The machine forces a patient's lungs to inhale and exhale through changes in air pressure. Iron lungs were commonly used to help polio sufferers breath. This iron lung was used at the Veteran's Administration hospital in Topeka, Kansas, in the 1950s and 1960s. This file includes correspondence relating to mismanagement at the Kansas State School for the Blind, specifically whipping students as punishment for breaking rules. Included in the file is newspaper clippings discussing the trial. This is part of a bigger collection of Governor Arthur Capper correspondence. Legless Andrews to Seat of G.A.R. Legless Andrews of Kansas City, Missouri, writes to the Kansas Department of the Grand Army of the Republic of Topeka, Kansas, concerning free attractions to be provided at the dedication ceremony of the Soldiers' Memorial Building in Topeka, May 27, 1914. Mr. Andrews describes himself as a legless airnaut [sic] and proposes to perform three balloon ascensions and parachute leaps for fifty dollars. He claims to be the only legless acrobat conducting such performances. This letter is significant for its documentation of the social history of disabled persons in the early twentieth century. This file includes correspondence relating to old age pension. Correspondence from David Pritchard of Rosedale, Kansas, is asking the office of Governor Capper for a pension to support himself. This is part of a bigger collection of Governor Arthur Capper correspondence. This file includes correspondence relating to pensions for persons with disabilities. Topics included, but not limited to, in the correspondence is pensions for senior citizens who are unable to work and spouse eligibility for benefits through the County Commissioners office. This is part of a bigger collection of Governor Arthur Capper correspondence. This black and white photograph shows a Santa Fe porter and Santa Fe courier nurse assisting a passenger in a wheel chair. The Atchison, Topeka and Santa Fe Railway Company assigned registered nurses, known as couriers, to their passenger trains from the 1930s to the 1960s to attend to the medical needs of passengers. During their cross country travels the nurses, also, carried out certain administrative duties or errands that required attention. A photograph of Governor William Henry Avery with two young boys in wheelchairs. This photograph of Avery was probably campaigning for a second term as governor. He was born August 11, 1911 near Wakefield, Kansas, and graduated from Wakefield High School and the University of Kansas. In 1964, Avery was elected the 37th governor of Kansas. He served one term as governor, losing a re-election bid to Robert Docking in 1966. Primarily consists of originals and copies of handwritten letters, postcards, and one manuscript written by James. Correspondents include cousin Anne Edwards, Professor W. Lutoslawski, Susan Goldmark, Thomas Sergeant Perry, Guy Waring, and others. Topics include James' writing, his health, the 1906 San Francisco earthquake (James and his family were at Stanford University when it happened), lecturing and travel, care of the insane, the change in Harvard University's presidency in 1910, and other topics. Also included is a letter from Alice James, William's wife, to Guy Waring after William's death; Karl Menninger's reading notes from James' San Francisco earthquake manuscript; and a 1970 article on James' life. This file includes general correspondence relating to applications for admission to the Winfield State Training School, also known as the Winfield State Hospital. At the time of applications, the building was at full capacity and was not admitting new students until completion of the second building. The school was established 1889 to educate persons with disabilities in Kansas. This is part of a bigger collection of Governor Arthur Capper correspondence.